Contemporary Fusion Reviews gives Rylesonable a strong review!! Antonella Chionna Meets Pat Battstone – RYLESONABLE (featuring Richard Poole, with Kit Demos): If you’re even the slightest bit inclined towards “improvised chamber music”, this CD is an absolute MUST-have, folks! I’ve been working with Pat for the last couple of years, in various capacities, but his work with Ms. Chionna is the ABSOLUTE best I’ve ever heard from him (and there’s more coming soon). Check out Jazz Camera UK’s review of Pat! A BRAND-NEW review from TOUCHING EXTREMES magazine!!! TOUCHING EXTREMES magazine – The risk of obvious, and frequently fallacious comparisons notwithstanding, a piano/vibes duet cannot be approached without taking into account the inherent gracefulness of a conjunct reverberation. This unique sympathy is embodied in all types of interaction: either through unpretentious touches allowing ample space of resonance or intertwining scalar complexities, a method for two accomplished players inevitably exists to let this instrumental pairing glow. Battstone and Poole do their best to get rid of “cheap jazz fat” residues, focusing the interactional creative thinking inside ambiances of romantically pensive radiance. Unquiet flurries and exploitation of close intervals represent added flavors. “Each listen to The Last Taxi will create new emotions and visions, and after all, is that not the true language of music, the music of the soul- and the soul is only really in the moment of now, only the mind wanders”…. Pat Battstone and Richard Poole release exciting new improvisational CD – The Last Taxi (a Conversation), with Chris Rathbun and Todd Brunel is here! 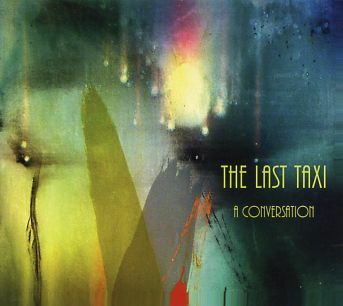 As the listener allows these conversations to be absorbed into their consciousness, totally exciting new vistas are realized, and “The Last Taxi” becomes a personal experience for each person. “Regular” listeners may not be totally familiar with the sense of excitement this kind of music can generate, but if they devote even a little bit of their attention to what the artists are saying, they will be grateful for the opportunity! Pianist Pat Battstone and vibraphonist Richard Poole’s Mystic Nights follows a small but illustrious tradition duo recordings including Gary Burton and Chick Corea‘s Crystal Silence (ECM, 1972) and Visions (Steeplechase, 1979), from Sun Ra and Walt Dickerson.Also a pianist, Poole shows significant musical sympathy with Battstone who, having studied with Burton, also has a deep understanding of his colleague’s instrument. This camaraderie is heard best on “Reflections,” with each instrument reflecting—but not mimicking—the other with crystalline flowing notes, like a brook flowing into a pond. On the contemplative “Scottish Heather,” piano and vibes echo each other like chimes in the wind of the melody creating a nocturnal mood.A Zen-like atmosphere permeates some of the tunes, like the cinematic “Life Stories” and almost oriental-sounding “Gin and Tonic,” with its rapid piano scales precisely punctuated by Poole’s resonant mallets. Battstone exhibits some classical avant-garde leanings, strumming the innards of his piano on the atonal “Newsreel” and delivering a Debussy-esque solo on the melancholic “Magical Morning.” Hints of the blues appear on the spirited and free-flowing dialogue that characterizes “When Creatures Reigned,” with Battstone’s Cecil Taylor-informed energy and percussive approach. Elsewhere, bop-like flairs and Latin touches mark the otherwise free-flowing improvisations of “Cross Currents,” where Poole’s muted colors and Battstone’s brighter palette complement each other perfectly as they fade into silence. This stimulating disc closes with the title track, Poole’s mallets vibrating harmoniously with Battstone’s harp-like picking of the piano strings, as it evolves into an angular yet mellifluous song that ends with ominous bangs and silent pauses. This unique set of 13 improvised pieces creates an intensely meditative and mystical ambience filled with satisfyingly thought-provoking ideas. Mystic Nights can be enjoyed casually, but requires a careful and intent listening to be fully appreciated. Track Listing: Scottish Heather; Summer Sunset; Gin and Tonic; Something Lurking; Newsreel; Undertow; When Creatures Reigned; The Miller’s Tale; Magical Morning; Life Stories; Reflections; Cross Current; Mystic Nights. Personnel: Patrick Battstone: piano; Richard Poole: vibes. From Kari-on press kit: Dreamy ambiences, sparkling tones, and balmy riffs coagulate in the compositions by pianist Patrick Battstone and vibraphonist Richard Poole on their new CD, Mystic Nights. Otherworldly numbers like “Gin and Tonic” and “Undertow” resonate like glittering wind chimes while the fluid embers of “Something Lurking” are embalmed in dulcet wisps. The avant garde-slant in the trickling keys along “Newsreel” ripple with an organic agility, and the balmy banter of the vibes and piano keys ringing along “When Creatures Reigned” convey a placid mood. Mystic Nights is a welcomed addition to any precocious avant-garde or improvisational jazz collection. Who says jazz is not rocket science? Not to Patrick Battstone, who by day is a rocket scientist for Draper Labs, joined by his collaborator Richard Poole, the two embark on an expedition beyond the stars. The nature of a duo is an exposed setting that creates a canvas of conversation and exploration. So when you take two percussive instruments like vibes and piano, and blend them into a sonic message, the end result is the brainchild of pianist Patrick Battstone and vibraphonist Richard Poole, entitled Mystic Nights. MYSTIC NIGHTS is a piano and vibes pairing of a much cooler temperature. Ray Battstone and Richard Poole may not be well known but they get a crystalline beauty out of this instrumental combination the equal of any of the famous piano-vibes pairings that come to mind like Chick Corea and Gary Burton. There is a lot of abstraction in Battstone’s piano work with gamelan-like hammering and inside strumming and thumping but his playing also contains a melodic beauty reminiscent of Paul Bley. Combining that with Poole’s ghostly, resonant vibes work, the end result is a lovely set of music that balances space, atmosphere and melody extremely well. Their improvised duets flow freely from tonal, rhythmic-based excursions to dense, darkened clusters. The emphatic rapport evident throughout their latest disc, Mystic Nights, makes it difficult for a listener to turn away. These thirteen short stories work well as a comprehensive suite, yet stand well enough alone as individual bursts of creativity, each with a defining mood. The hurriedness of “Newsreel” and “When Creatures Reigned,” bouncy nature of “Gin and Tonic” and meditative trance of “Magical Morning” are a few noticeable examples. The stark title track, named for the Mystic River, which is adjacent to the duo’s recording studio, closes the disc with an unsettled intensity, perhaps signaling more to come. Both jazz musicians display an affinity for the avant-garde, and they’re carving personalized identities as an amalgamation of their personal influences. For pianist Pat Battstone, we hear a personality that seems to incorporate styles of Marilyn Crispell, Keith Jarrett, Bobo Stenson, Charlie Banacos and Bill Evans. As far as vibraphonists go, I hear elements of Teddy Charles and Gary Burton (whose “Dreams So Real” album might have been inspirational). Battstone doesn’t just play the piano’s keys. He may pluck the strings to produce overtones, or he may employ hammers directly to the strings. Richard Poole also has a long resume with many years as a professional musician. He holds a Bachelor’s Degree in Music Composition from Florida International University. Performance, production, a piano business and teaching have been his main focus over the years. He’s helped many develop their own voice in music. Now, the two of them together are continuing to cultivate their own musical manifestations. Their kaleidoscope of magical sound is best described as an otherworldly soundscape of sensitive splendor, beautiful colors, and delicate textures. Opening the jewel case, one sees Patt Battstone (piano) and Richard Poole(vibraphone( playing at what seems like an intimate live performance, but even that wasn’t enough to provide any hints. Never judge a book by its cover, even if the book provides little to nothing. I had to go in. Mystic Nights (self-released) could have been nothing more than a simple piano and vibraphone album, perhaps sounding cool and reserved, at least that’s what I expected when I saw their photo. But this studio album is anything but reserved. A piano/vibes face off that showcases minimalist jazz with arts council overtones. Loaded with an experimental edge that makes this sitting down jazz for hipsters. This is an adventurous encounter that features pianist Pat Battstone with Richard Poole playing vibes. The duo wrote all thirteen tracks building on their first release, Open Door. Mystic Nights is more of a relaxed call and response session capturing a peaceful dialogue between the two musicians. It is an introspective set that invites the listener into their world. For those who enjoy the outer reaches of Jazz and improvisational music then they should check out these musicians and their album. Yes, it is outside music’s normal comfort zone, and it is pushing away at the borders of what we accept as music, but they said that about Beethoven too. Pat Battstone and Richard Poole: Mystic Nights (2011, Bat’s Tones Music): More commonly Patrick Battstone, pianist, b. 1954, studied with Joanne Brackeen, day job as a rocket scientist at Draper Labs. Second album with vibraphonist Poole; Just the two of them, piano/vibes. Does a nice job of hitting its intended mark. B+(4.5 out of 5 stars). How do your rate this item? Pianist Pat Battstone and vibraphonist Richard Poole’s album Mystic Nights is full of tracks that are instrumental fused with a dark and classical sounds that showcase the talents of these two artists. The mixture of these unique tracks can easily put your mind at ease with the soothing meditative sound to scaring you with the deep piano riff. Battstone and Poole are no strangers to the world of jazz and have combined their knowledge and talent to form an album that has a consistent flow. The album starts of with the song “Scottish Heather” that is has a slow start and introduces a sweet melody. This song gives you an insight to their capability of playing their instruments. There is no definite rhythm introduced since it was just a mixture of sounds. In the single “Summer Sunset” there is a better collaboration of the duo. The track is relaxing and slow tempo brigs you a euphoric and peaceful mindset. It shifts to a darker sound in the songs “When Creatures Resigned” and “Mystic Nights” which has a spine chilling sound that can easily incorporated in a horror film. Overall the tracks were easy to listen to but after a while it seemed like each song blurred together and it was hard to get through the album. With a somewhat ho-hum album cover, I wasn’t sure what I would get when I played this. Opening the jewel case, one sees Patt Battstone (piano) and Richard Poole (vibraphone( playing at what seems like an intimate live performance, but even that wasn’t enough to provide any hints. Never judge a book by its cover, even if the book provides little to nothing. I had to go in. Mystic Nights (self-released) could have been nothing more than a simple piano and vibraphone album, perhaps sounding cool and reserved, at least that’s what I expected when I saw their photo. But this studio album is anything but reserved. The opening track, “Scottish Heather”, has them coming into the scope, slowly playing and welcoming you to their instruments and their world, almost like the unveiling of a gallery. It’s not free form, but there’s no solid rhythm that defines this. “Summer Sunset” suggests relaxation, but some of the tones they create together are more about the heat and the blur of the bright sun than anything that brings calm. “Newsreel” may bring to mind the old ways of taking in the news, and maybe it’s a not-so-subtle way to describe the musicians themselves, looking at our modern, non-stop blitzkreig way of taking in the news of the day. “When Creatures Reigned” kind of sounds like what one might dream up in our youth as a way to describe the fears we used to read in books, but now it sounds playful, and if there was a way to go back to those days, we all would. Some of the songs are straightforward, while others are a bit more adventurous, especially when Battstone goes into the piano and plucks the strings with his hands. Poole will then play on top of that but sometimes play them solely as a percussion instrument, with no sense of keys or melodies. If the music on Mystic Nights are meant to represent something, I’d like to know what it is, but music is there for the imagination to play with. Personally, I want to play within them again.